Carved from natural marshland and woven around centuries-old live oaks draped in moss sits the signature Jack Nicklaus design, Pawleys Plantation Golf & Country Club. Having just recently celebrated its 30th anniversary and a visit from the Golden Bear himself, there’s never been a better time to visit Pawleys Plantation. The timeless par-72 layout flirts with scenic saltwater marshes that separate the course from the Atlantic Ocean, making for a breathtaking round of golf. The course stretches to 7,031 yards from the tips, or the “Golden Bear” tees, and 4,932 from the forward tees to ensure there is a comfortable yardage for every level of golfer. One of the most notable holes at Pawleys Plantation is the 13th. Relatively sound conditions and tree-lined fairways on previous holes strikingly contrast with the setup on this daunting par 3. Tee boxes surrounded by marshland and a peninsula green across the hazard may have you leaving this hole a few more strokes over par than you anticipated. But we think the view will make up for it. 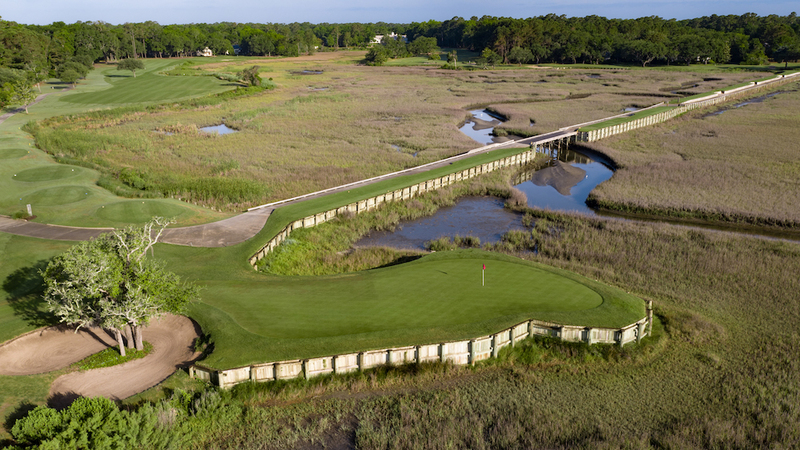 Pawleys Plantation has been named one of South Carolina’s Top 50 Courses and one of the Top 10 Courses in Myrtle Beach by the South Carolina Golf Course Ratings Panel. 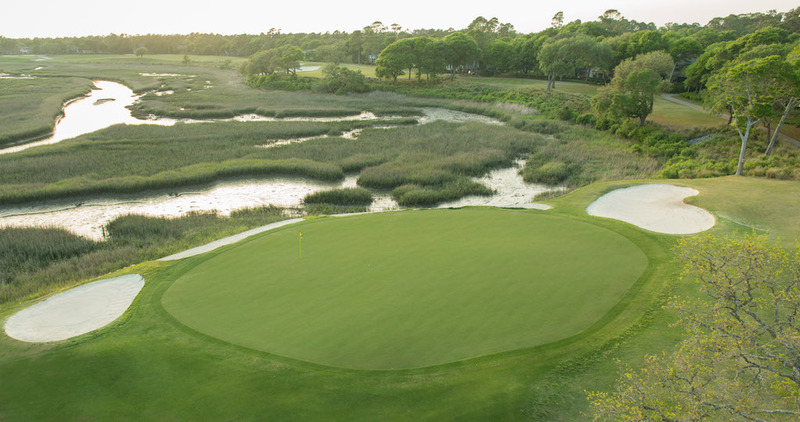 The course, along with the 13th Hole, was also featured on Golf Channel’s “Big Break Myrtle Beach” in 2014 and has continued to receive national notoriety. The Golden Bear surely outdid himself with the design at Pawleys Plantation, and it’s no wonder players continue to return to the course year after year. To play this gem on your next golf vacation to Myrtle Beach, call one of our friendly golf specialists at 800.422.1587 who can get your planning started! Here’s a riddle for you. How do you travel to nine different states and two countries including Canada and Scotland, all without leaving the city limits of Myrtle Beach? The answer is International World Tour Golf Links. This par-72 course features replica holes from some of the nation’s top-ranked courses as well as some further from home. With the opportunity to play the same holes as some of the greats, it goes without saying that few experiences exceed the one awaiting you at World Tour Golf Links. The front nine at World Tour, referred to as the Open Nine, includes spectacular golf holes from courses that have hosted either a U.S. or British Open. One of the highlights of the Open Nine is the par-3 3rd Hole that resembles the 17th Hole at the Stadium Course of TPC Sawgrass. Although the hole may seem easy from the comfort of your own living room when watching players dunk it in the surrounding hazard, you may have a different reaction after stepping up to the tee box for yourself. The final hole on the Open Nine is a tribute to the 18th at St. Andrews. It features a replica of the Swilcan Bridge and the infamous “Valley of Sin” that guards the green. The back nine at World Tour includes holes synonymous with all four of the men’s major championships. Although each hole is outstanding in its own right, it’s awfully difficult not to be blown away by Myrtle Beach’s very own Amen Corner. A trio of holes on the Championship Nine pay tribute to the 11th, 12th and 13th Holes at Augusta National. The only things missing are the abundant azaleas and Tiger Woods! After your round, be sure to stop by the Player’s Grille for the club’s delicious Reuben sandwiches or dine outside on the veranda overlooking the final hole of the Championship Nine, inspired by the 11th Hole at Bay Hill. Among a number of accolades, World Tour has most notably been awarded the “National Golf Course of the Year” by Golf Digest in 2008 and has been named the “Myrtle Beach Golf Course of the Year” by the National Golf Course Owners Association. The design of World Tour seamlessly brings together some of the world’s most outstanding holes. Although each is a replica, the experience of playing a round at World Tour is completely original. To play this course or others in the Myrtle Beach area, please click here or call 800.422.1587 today. Looking to stay and play at a great price this spring? Look no further. The Glens Group Package will check off everything on your list and more. This all-inclusive package includes three rounds of golf at Arrowhead Country Club, Glen Dornoch and Shaftesbury Glen in addition to a free round at Possum Trot. Every round of golf includes free range balls, free lunch, and free afternoon replays at all four courses, making for a spring golf vacation that’s a little easier on the wallet. After a round at these outstanding courses, relax and unwind at accomodations of your choosing. Options include, but are not limited to, premium oceanfront condos, resorts villas, and luxurious beach homes. Regardless of where you choose to stay, you are sure to be near a number of celebrated restaurants, outstanding entertainment and, of course, some incredible golf courses. To learn more about this package and others, click here or call 800.422.1587 today! North Myrtle Beach residents said goodbye to Overtime Sports Cafe in early 2018 and have officially welcomed Dale Jr.’s Whisky River in its place. The new sports bar and restaurant, owned by NASCAR star Dale Earnhardt Jr., is just one of four locations in the entire Carolinas. Since opening its doors approximately seven months ago, the restaurant has experienced nothing but success. The Whisky River menu offers a wide variety of appetizers, burgers, wings, ribs, sandwiches, salmon and chicken entrees as well an array of salads for those looking for a more wholesome meal. And don’t forget to check out their delicious dessert menu too! The menu also features an extensive selection of bottled and draft beers, cocktails and wine. Arguably the most enticing thing about the bar, though, is its unbeatable happy hour. Everyday from 4-7 p.m., Whisky River serves $5 fried pickles, nachos, cheese quesadillas, chicken tenders, and buffalo popcorn shrimp. In addition, they offer $3 house wines per glass and $2.50 daily draft specials. Cowhide upholstery and rustic, Western elements make for a fun and relaxed atmosphere. But what’s an authentic sports bar without a mechanical bull? That’s right, they’ve got that, too! 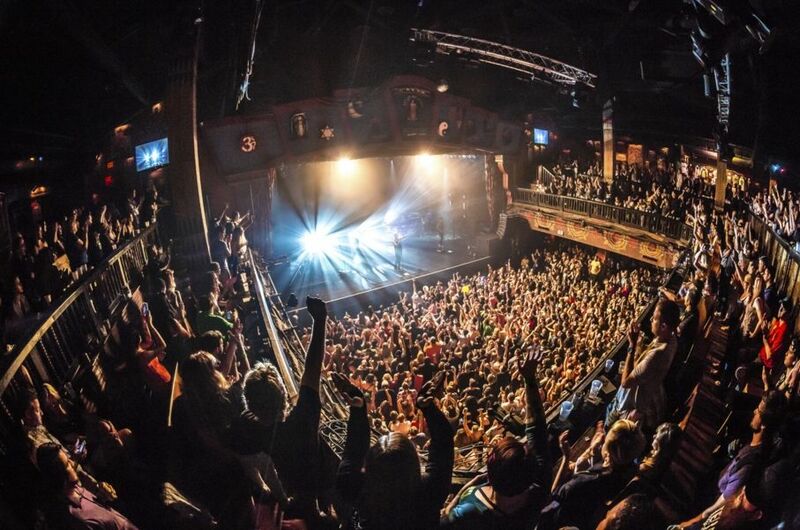 Whisky River also features a stage for live music and DJs to cement its place in the nightlife scene. 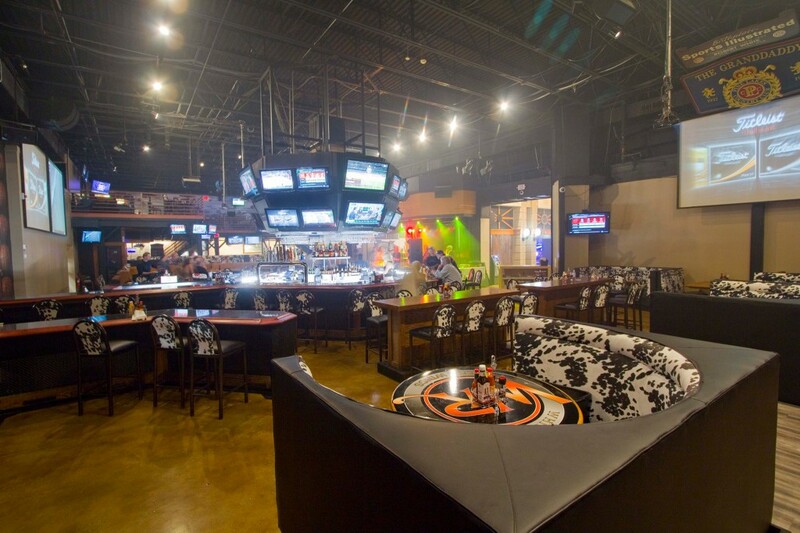 And you’re never too far from the racetrack or the field thanks to dozens of televisions surrounding the bar area and scattered throughout the restaurant. 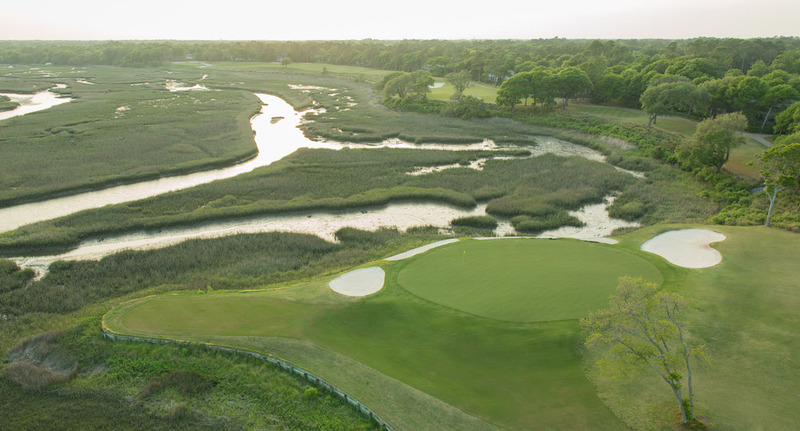 Whisky River’s location also places it just blocks from the ocean and near a number of outstanding nearby golf courses. Its delicious food, tasty drinks, and undeniable entertainment have made Whisky River a popular 19th Hole destination among locals and tourists alike. It’s the perfect post-round spot to include on your next golf trip! And major markets across the country have already embraced the concept, including Phoenix, Las Vegas, Charlotte, Pittsburgh, Nashville, Dallas and Houston. So will Chicago, the Beltway, Monterrey in Mexico and Dubai in the United Arab Emirates in the coming weeks and months. Now, Topgolf is coming to Myrtle Beach in early 2019 – and bringing with it all the entertainment bells and whistles that have made it a pop culture phenomenon. Topgolf offers golf as the platform for a one-of-a-kind leisure experience. The new Myrtle Beach location, located off 29th Avenue North and Grissom Parkway, will roll out a high-tech golf game as part of an entertainment complex that pairs with a full-service restaurant and bars, climate-controlled hitting bays, music, hundreds of HDTVs and even a rooftop terrace with a fire pit. Topgolf is perfectly suited for group gatherings large or small, and offers private event spaces and meeting rooms to accommodate a wide array of business and social interests. And as you prepare for your first evening out at Topgolf Myrtle Beach, remember: pricing is determined by hitting bay use per hour, not by person. So the more friends, family and associates you can bring along to enjoy the fun, the more bang for your entertainment buck you’ll get. A lifetime membership is available for a one-time charge of $5, and with it comes free club rentals, access to play Topgolf’s signature games at any of its worldwide venues, and the ability to track the points you score by hitting balls into the targets. Additional membership opportunities will soon be available for unlimited game play among other benefits. Stay tuned to the Topgolf Myrtle Beach website for more details on pricing, hours of operation, news and more as it nears its early 2019 opening date! 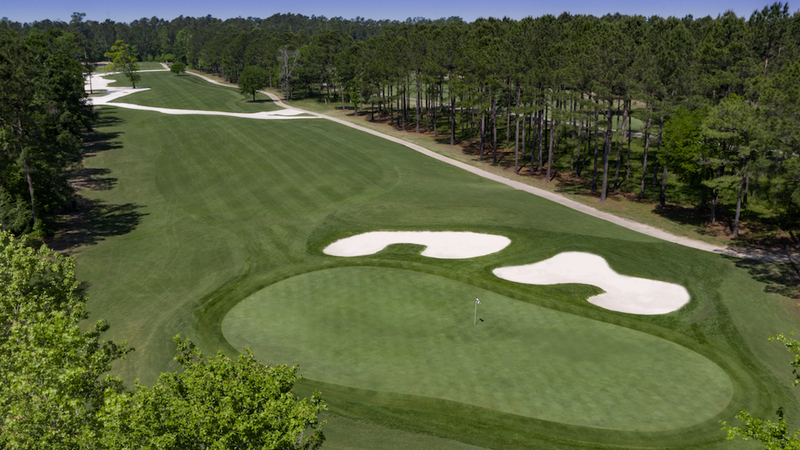 The beauty of Grand Strand golf lies in the three distinctly different sections of it. The South Strand includes great Lowcountry designs like Caledonia Golf & Fish Club, the central part boasts such high-demand courses conveniently located to the airport as Prestwick Country Club, and the North Strand brings several layouts that bring their own unique elements to the area. One such unique design is a hidden gem that sits just across the South Carolina/North Carolina state line at Farmstead Golf Links. 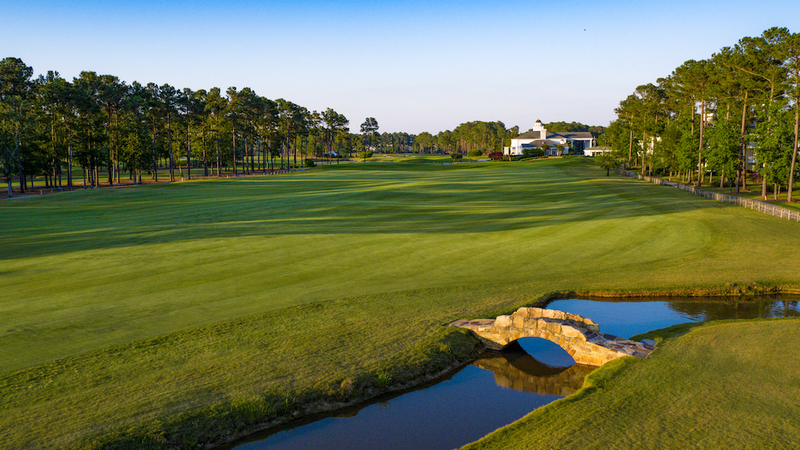 Set on a 480-acre piece of land in Calabash, North Carolina, Farmstead’s links-style setup gives golfers the chance to use the natural contours of the land to their advantage. Throughout the entire property, golfers will see fairways framed by bunkers, native grass and water features. All three of these features can be found on the par-four 13th Hole, with a lake left and tall, thick native grass on the right. This hole forces golfers to hit the middle of the fairway. Any tee shot just off the fairway can put someone in a deep bunker, or deep at the bottom of the lake. The Willard Byrd design plays 7,200 yards from the back tees. Though the tips play long, Farmstead offers five different sets of tees to accommodate every skill level. The most famous hole on the entire golf course will come at the end of your round when you step to the tee box of the 767-yard, par-6 finishing hole. The tee shot is to the beginning of a sweeping dogleg left that starts in South Carolina. Halfway up the hole, golfers will cross back into North Carolina as they hit their approaches to the green. The daunting par 6 comes with trouble running along the entire left side of a hole that wraps around a large water hazard, leading to a large green where the water runs around the back as well. This hole is setup for all skill levels to enjoy it. Ready to take on this par-6 beauty, and all the great holes at Farmstead? Click here to book your tee time today!